Staying true to its name, Rain Tree Comforts provides with all basic amenities for a comfortable stay. 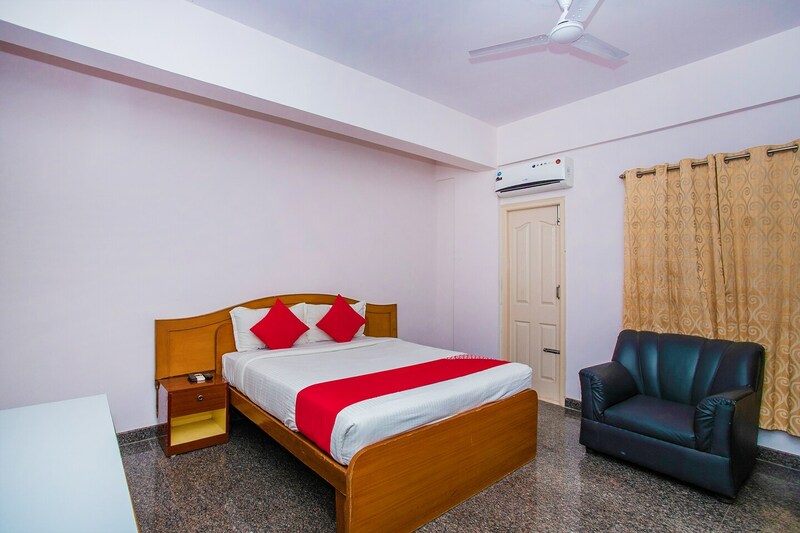 The rooms are bright and spacious with modern wooden furnishings adding to the overall charm of the room. The wall decor is kept at a bare minimum with few paintings hanging on them. The bathrooms are also equipped with all basic amenities.The hotel also provides with free Wi-Fi facility for the guests to catch up with work. CCTV cameras ensure the security of the guests. The hotel is also surrounded by various restaurants where guests can enjoy some tasty local treats.